The Iraqi oil minister during his attendance at the 13th meeting of the ministerial committee between OPEC and the major producers from outside. Deputy Prime Minister for Energy and Oil Minister stressed Iraq's keenness to support oil prices and work with producers from within and outside the "OPEC" to rebalance the world markets by controlling the supply of oil. 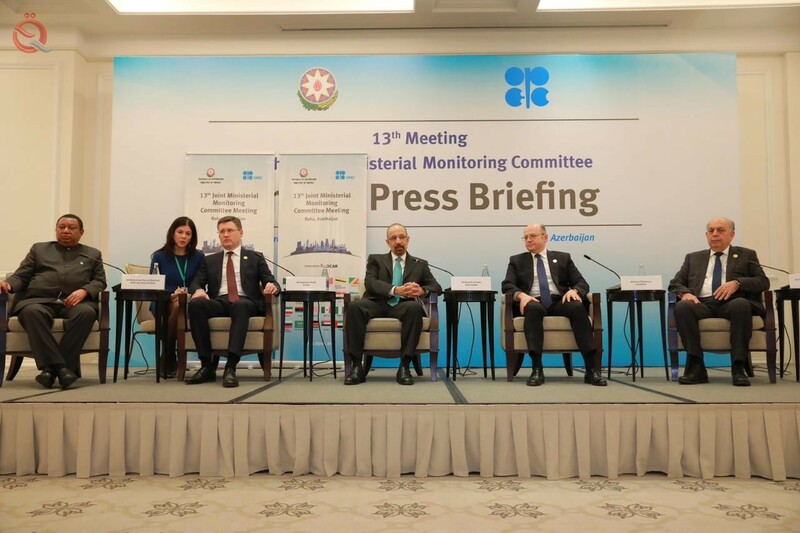 This came during his participation in the thirteenth meeting of the Joint Ministerial Committee to monitor the reduction of production between the Organization of Petroleum Exporting Countries (OPEC) and major producers from outside, which is held in the Azerbaijani capital Baku. "This meeting comes within the framework of the keenness of the producer countries of the Organization of Petroleum Exporting Countries (OPEC) and its co-sponsors from outside to monitor the decision to reduce the oil production," said Deputy Prime Minister for Energy and Oil Minister Thamer Abbas al-Ghadhban. Was adopted before the end of last year, which was implemented as of January 2019 for a period of (6) months. " "The meeting aims to review the reports prepared by the specialized committees resulting from the meetings of the producers in order to achieve members' commitment to the decision to reduce production to advanced levels and control over the surplus oil supply, and to take appropriate steps to maintain the target set by OPEC and its partners, The stability of the world oil markets and access to fair prices both producers and consumers, and this leads to the revitalization of the global economy. " "Iraq plays an important role in bringing the views of the producers closer to the logical and realistic solutions and decisions, and he has seen through his meetings with his counterparts their keenness to do so," Ghadhban said. The oil minister stressed that "the decision to extend the agreement or otherwise will be discussed at the next meeting in Vienna next month."